With this mod we can create other objects to store resources, first we create a reinforced chest, which increases the capacity of the normal chest, as well as storage boxes and cardbaord boes. In order to transport objects we can use backpacks on the back of our character. 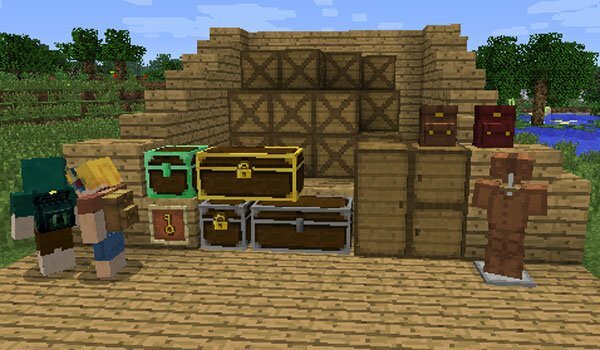 In addition to these objects, the mod allows us to develop and display mannequins to hang our armor, plus keys and locks that we can enchance to increase the security levels of our chests. How to install BetterStorage Mod for Minecraft 1.6.2 and 1.6.4? New possibilities in storing objects!